Today’s authoring tools make developing e-learning easier than ever. But that doesn’t mean course designers always have extra time to play with new design ideas, much less start every project from scratch. The goal for most designers should be to find ways to reuse common course elements like content slides, quizzes, interactions, and, of course, UI elements. We already looked at course starter templates and how they can help designers create a general structure for their projects. This week we’re going to look at a smaller component of course starters: button kits. This button starter kit features a static view of the core button states (normal, hover, selected, and disabled) as well as prebuilt button sets in both dark and light colors. This outstanding button template contains prebuilt buttons for navigation, quizzing, and content slides. The kit also includes several animated buttons to give your projects a creative touch. This button kit provides a creative solution for bilingual courses by using the button hover states to include the translated text. This week, your challenge is to share a button starter kit for e-learning. Include as many different button types and styles as you’d expect to use in a typical course. This week’s challenge is not a repeat of our animated button challenge. That button challenge was more about playing with creative effects for buttons. What we’re looking for this week are more complete sets of buttons to help designers get a jump start on their projects. 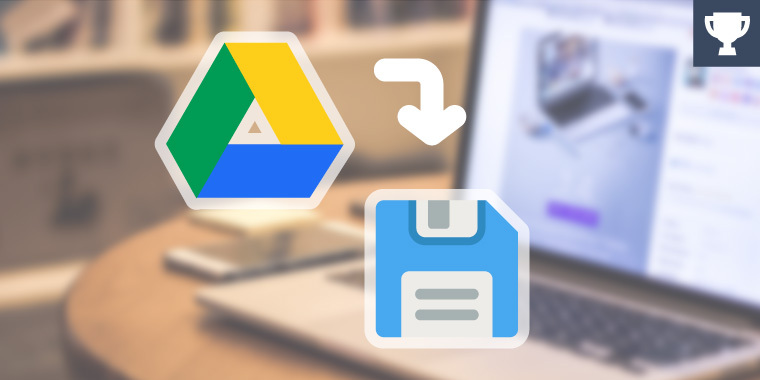 Google Drive Users: Move Your Hosted E-Learning Examples to a New Server! Google announced it’s pulling the plug on Drive’s hosting service. After August 31, 2016, your e-learning portfolio, challenge, and demos will no longer work. Learn more about moving your projects! Learn more about moving your projects to a new server! Microbutton! Cool sub-category of buttons. Nicely done, Richard. Thanks for kicking off this week's challenge. I like the semi-transparent look Richard! I especially like the hover state of these, Richard. Loved the subtle glow visible when a button is clicked. Nice work, Richard. Awesome set Richard, thanks for sharing it! I wanted to make buttons which would be interesting, but at the same time resizing-friendly (sometimes it is not so simple to resize buttons with extra objects in individual states). For multilingual developers sizing and resising is a painful topic! With this in mind, my set has some 'composite' buttons, which have a separate text-containing part - its length can be resized without adjusting additional objects in specific states. In other words, what you see is what you resize. :) The only exception is the custom marker, where the text popup is hidden in the 'selected' state, but it is easy to resize as you'd need to adjust only the popup, rather than the whole button. Published version: http://bit.ly/232ualw Story file in hot pink: http://bit.ly/ELH133-pink and peaceful blue: http://bit.ly/ELH133-blue. It's possible to change the color of all buttons by changing the color scheme. Nice colours and effects, Maija. Love the toggle\untoggle states Maija, very well done! I will agree with Brenda; the colours are very nice. Liked the white outline that appears on those circular icons, Maija. Hi Maija, These are very useful(resize) and well done! Nice work Jeff! I like the animated look of buttons(Hover state). These are wonderful! I love the 3D effect! They look a little Google-y, too. Did you use any of their material design principles when you made them? Thanks Jeff! Nice bold colours on these buttons. This is actually fun if you keep moving your mouse over it real fast. Nice Jeff! I will agree with you on this point, Richard. If the mouse is moved fast, it kind of feels like you are pressing the keys of a piano. Nicely done, Jeff. The push button effect you have achieved is brilliant. Nice to have you back in the challenges, Jeff! Below is my submission with source .story file. https://www.linkedin.com/pulse/elh133circular-share-button-aman-vohra?trk=prof-post Thanks! Fun bouncy "share" button Aman! Wow, this is a really nice find Aman! Nicely done, Aman! Thanks for the download. The effects are good. I really loved those 3 buttons at the top, Saurabh. Nice Job Brenda! Very well thought and lot's of variety. Loved your idea of building buttons around a theme, Brenda. The hover effect on the first slide is super-cool. Loved the colour scheme you have used Tania! The leaderboard button is well thought of. Nice Navigational border buttons Tania. I like the border icons at the bottom. Same for me Tedhy - I received a warning from the boboko.net link. I'm so sorry for this. i will repair. But if you want to see soon, you can download my dropbox.. thanks for report @Brenda @Richard @Punam .. I like the black&white theme and the hover states, Punam. HI Punam. Nice use of icons for navigation. These are really visually friendly Ashi! I think beginners will especially love these buttons. Nice work as Always! Hoveristically Ashiloveable set! Hover and reveal FX are supah cool! I agree, nice compact normal state and expanded hover. I like the font too, Ashi. Cool idea with the background change, very interesting. P.S. Really sorry about the Orlando incident! As always, you have come up with something different, Alexander. Simply loved it . Fab button transition combo Alex! Peace. I like these Alex. Too much bad news from Orlando. Here's hoping for better things from now on. Thanks a lot for this super-informative comment, Kayla. Loved the buttons. Also thanks a ton for sharing the source of your inspiration. These are yummy looking, Kayla. Thanks for the source. great example, design makes all the difference when it comes to buttons. I have a question about how to use these. It is best to import them into a new project and copy them on a master slide and just copy and paste them as needed? What's the best way to store these assets so they are easy to use for projects? Thanks! Great big set of icons in your entry, Aiche. I like the blue outline highlight on the hover. Nice work, Aiche. The effects are also good. I couldn't resist a blinky owl! I like your transparent set. Very nice. I love ghost buttons, Brenda. Nice set. Loved these buttons too. The blurred background is a good thought, Brenda. Perhaps this entry can also be submitted to the blurred challenge. Great button set, Josh. I really like the subtle shadow effect and hover states. Nice complete set , and good layout Josh. Very clean. Always impressive designs from you Josh. Josh, I really like how elegant and subtle this set is. Thanks for sharing! I like the colors of your set. Very engaging ! Nice, clean design Josh. I love your use of shadows. Loved the border and the colour combinations. Great work, Natacha! Hi everyone! Just a quick post to let you know the button starter recap is up: https://community.articulate.com/articles/button-starter-kits-for-elearning Thanks for so many great entries (and freebies) this week! I really like the lift buttons. Great work Linda! I enjoyed watching your set Linda :) and i didn't expect the elevator ! Very nice surprise. Great concept and execution, Linda! Reminds me of that old Mystery Date board game somehow. I like the way you have incorporated colour gradients into the button, Ben. Hey, I really missed you all in the past few weeks. I have had so much going on. Contract work. Selling a student rental property. Secretary-treasurer of land I own a share in. And most importantly final prep for my trip to Italy next week. See you when I get back! Very fancy Stephanie. Welcome to the challenges! Nice and stripe-y, Stephanie. I like the subtle dashed line movement on the hover.